Only students who have submitted a complete application and have met the minimum requirements will be granted an audition for admission to the ChiArts Creative Writing Program. Please visit the application pages for more information. Students of all abilities may audition for admission into the Creative Writing Program. 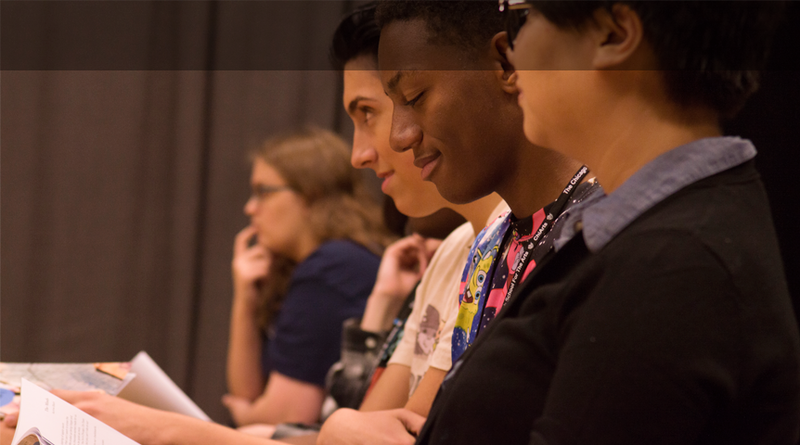 ChiArts recognizes the need to provide opportunities for students who have high levels of experience and/or training in creative writing and students who have not had prior training, but demonstrate a strong natural ability and a desire to learn. In order to place students in a beginning or intermediate/advanced interview group, applicants must complete the arts experience section on the admission application that describes any prior creative writing training or experience. It is important for students to be thorough and accurate when submitting this information. Students must bring a 3-6 page sample of their best writing. Be sure to bring a copy of the original as the writing sample will NOT be returned to the student. The writing may be in any genre. All writing samples must be written by the student alone and clearly labeled with the student’s name and title of the piece (if titled). The sample may include, but is not limited to poetry, fiction, drama, and creative nonfiction. The sample may be an excerpt from a longer piece or multiple examples of the student’s work as long as students meet the page requirement. The writing sample must be typed, double spaced, 10 or 12 point font for fiction, drama, and creative nonfiction. Poetry must be single or 1.5 spaced. Your 3-6 pages may be divided between pieces from more than one genre. Students may bring additional writing (beyond the required 3-6 page sample) in a portfolio; if time allows, adjudicators may ask to review these pieces as well. Should students who have never taken a creative writing class apply? Yes, ChiArts encourages students of all levels to apply. Should students with many years of creative writing experience and/or training apply? Yes, students will be challenged no matter the experience they have had prior to attending ChiArts. How can students prepare for the creative writing audition? Backstage Passes will be held this fall to help students prepare for the audition process. Participation in the Backstage Passes is strongly recommended. Registration closes a week before each event.